One of the last images I finished from my holiday frenzy... Spent a bit more time on this one... since it's one of the xmas gifts I gave my mother :) ... can't wait to see how it's gonna turn out printed on art board ! 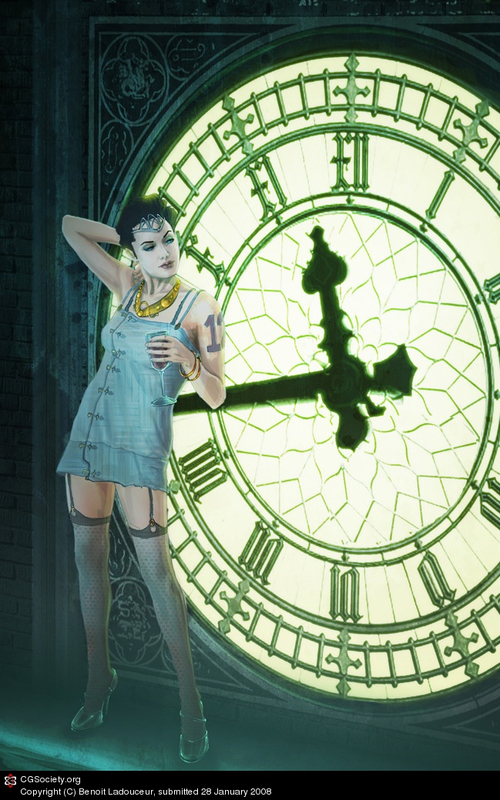 Done in photoshop based on a pose from a small picture of an actress I found on the web and a picture of Big Ben tower in london (for the clock) ... 10 hrs for this one... damned clock ! !